The White Sail has moved to An Bang beach. 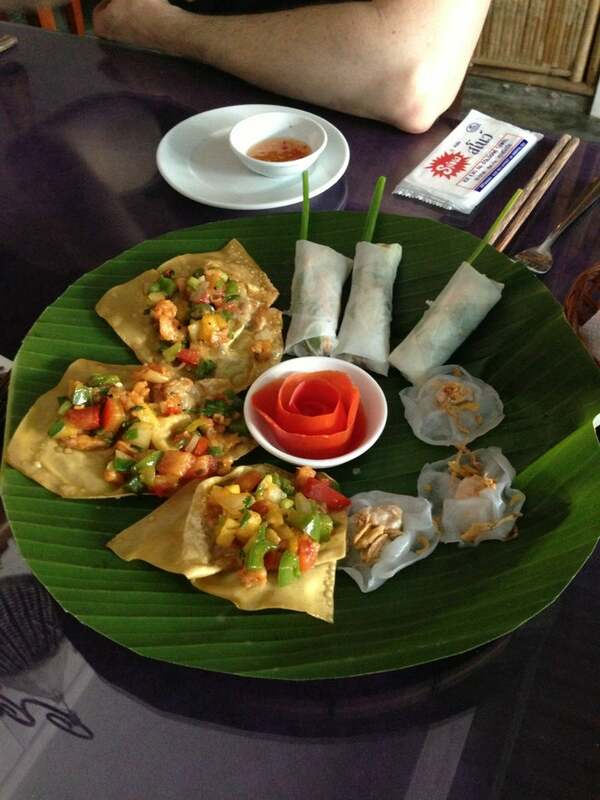 The new location is fast becoming Hoi An’s most favoured beach hangout. Why White Sail Bar & Restaurant is special ? White Sails is An Bang Beach Hideaway Homestay’s beachfront restaurant. The original White Sail restaurant has moved to An Bang beach. 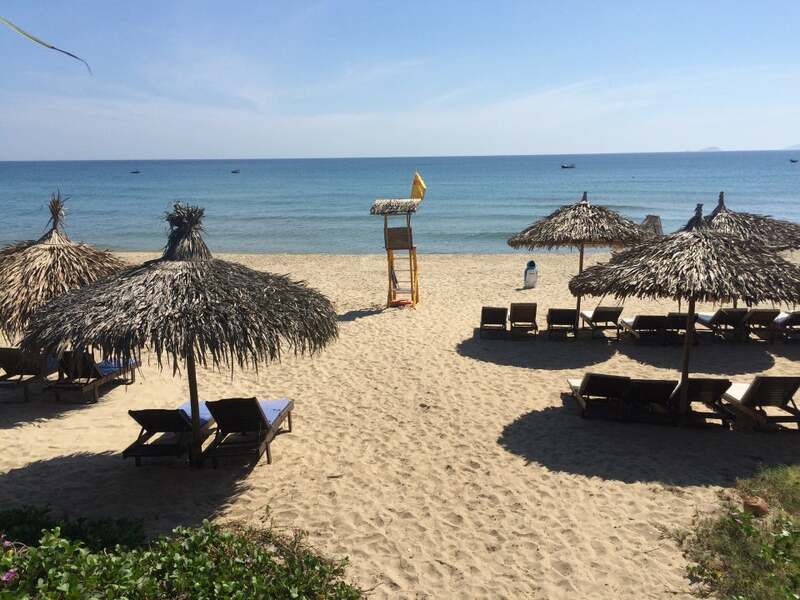 The new beach front location is fast becoming Hoi An’s most favoured beach hangout. The menu revolves around fresh grilled seafood, grilled farm chicken with special sauces, salads and noodles. Along with a great menu of local Hoi An specialties, the White Sail offers a number of day beds and chill out and dining areas. Palm-thatched cabanas overlook the beach and are furnished with an eclectic mix of antique and driftwood pieces, all lit by bamboo fishing trap lamp shades during the evenings. How to get to White Sail Bar & Restaurant? 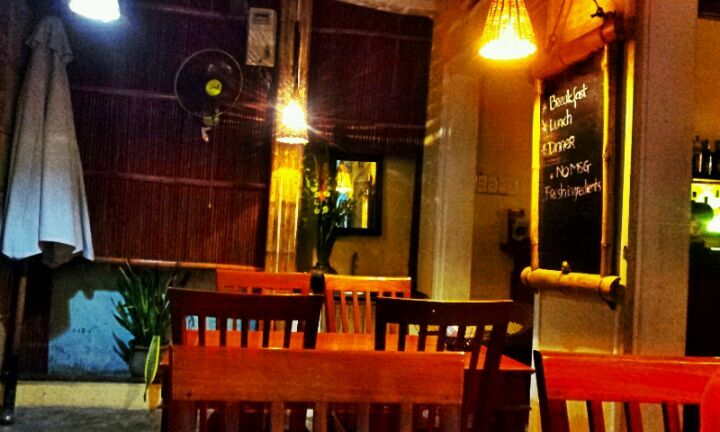 White Sail Restaurant is located in An Bang Beach, quite far from the center of Hoi An Town. Follow Hai Ba Trung Street to the end of the road, you will find the place. If you are not with a local you will pay a little bit more, but just about cents. You should also be aware that during the day you will be bothered by touts who go from restaurant to restaurant, seeking to engage you in conversation and then of course to get you to buy. Good quality, well cooked seafood. Great stuffed squid. Super grilled fish. Hoan Thanh were the best I've eaten anywhere in Hoi An, hearty and crunchy and laden with good toppings. Nice veggies and tofu. I'd probably give the meat dishes a miss. Setting is very nice - can't go wrong with An Bang beach in front of you. Random cocktails - ordered the same thing twice and despite being assured it was the same it certainly wasn't! I think the rule is, there is one guy that can do cocktails but if he isn't there whoever is on has a go themselves, and you end up with random quantities - I had one singapore sling that was total rocket fuel, and one with almost no booze in it! Stopped for lunch on a quiet day. Parking for bikes or motorbikes at back side of restaurant. Wide range of food on the menu. I ordered deep fried spring rolls and these were larger than most found in restaurants here. Probably the best filling I've had with noodle meat and veg with a nicely balanced dipping sauce that isn't too hot. Could have been slightly better if left to drain the oil a little more. Also ordered a serve of chicken sate however the sauce was definitely not the usual peanut sauce seen in SE Asia. What I will say is that 3 skewers of chicken breast meat were superbly cooked and juicy. The sauce was a peanut based sauce but sweet and tangy. Served with nicely cooked rice and fresh salad and was filling and good value. Like all places here, orders do take a bit of time to arrive but take advantage of the view and relax. Wide selection of drinks and WiFi available.